At its very basic, commercial building signage helps to identify your business and location for customers who are looking for it. But your sign can achieve much more than this, especially if you take care to consider the style of the sign and the type of information you choose to convey using the lettering on the sign. Font ― Besides choosing an easily readable typeface, make sure its style represents your brand. For example, bubbly-style letters probably aren’t appropriate for a funeral home, whereas elegant cursive-style letters won’t quite fit for a toy store. If you need help, refer to your company’s logo for inspiration. Colors ― For a sign that pops, you’ll want to make sure the color of the text contrasts the color of the background. You won’t want to deviate far, if at all, from the colors you use in your branding. Also, keep in mind that different colors have different psychological effects on consumers. For example, blue represents trust, red incites hunger and purple reflect luxury. Type ― The sign industry has progressed tremendously and now offers so many styles of signs. 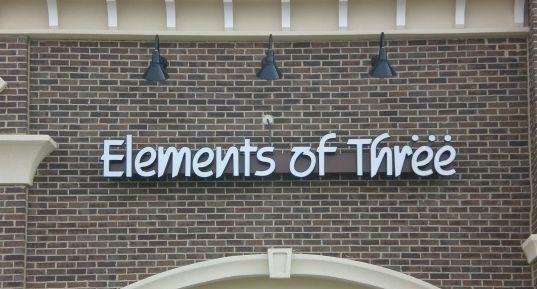 Some examples include monument signs, sandblasted signs, electronic message centers and channel letter signs. Keep your brand in mind when choosing a signage type. A business that’s open at night will want to consider signs that can be lit up such as a channel letter sign. One of the main goals you’ll want to achieve with your building signage is to convey what your business does to people who might not be familiar with your brand. To differentiate your business’ name, e.g. “Joe and Sons,” from the words you use to describe what your business offers, e.g. “Heating and Cooling,” consider using different fonts, sizes and colors for the text. When investing in commercial building signage, it’s important to put some thought into the style of the sign as well as what type of information you want to convey. For advice and getting started on your commercial building signage, be sure to contact Apex Signs & Graphics at 678-795-0775 today. 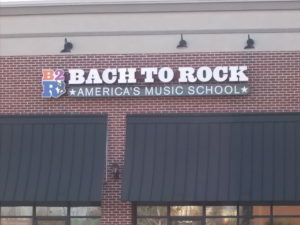 For more on how business signage and graphics can boost your brand and communicate your message, connect with us on Facebook, Twitter, and LinkedIn.